Most experts at EE want to solve problems, not make their answers look pretty. Sure and I'm not for a second advocating that everyone should go around spending time on their questions and answers just to make them look pretty. That would be silly. Some may want to go to such efforts and that's fine too. It's all up to the individual where questions are concerned. As the very first heading in my article states - "Create nicer looking borders in Articles submitted to Experts Exchange"
Asking and answering questions isn't the only thing that Experts Exchange is about. It's also a learning center. A place to share your knowledge and in turn, also learn from your fellow peers. So this article is "mostly" aiming at those who write tutorials, how-to's and other types of articles, who may want to take a little bit of pride in how their work is presented to the world. I edit many articles at EE and I wrote this because I've been asked the question many times. Now rather than write the same answer multiple times, I can just point future askers with a link to this article. Make sense? 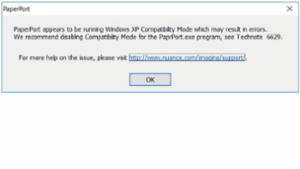 Nuance's PaperPort may display this error message: PaperPort appears to be running Windows XP Compatibility Mode which may result in errors. We recommend disabling Compatibility Mode for the PaprPort.exe program, see Technote 6629. This article provides a possible solution to the problem. 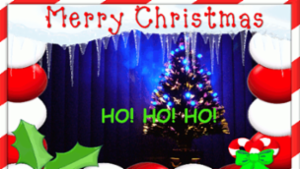 This tutorial shows how to create a greeting card by combining two image layers and a text layer on a PC using a free image editing app. All of the resources available today make learning a new digital media easier than ever-- if you know where to begin. 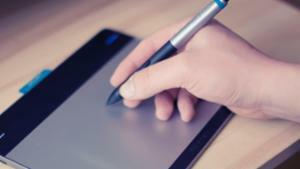 This is a clear, simple guide to a few of the basic digital art mediums and how to begin learning them on your own. Microsoft Office Picture Manager was included in Office 2003, 2007, and 2010, but not in Office 2013. Users had hopes that it would be in Office 2016/Office 365, but it is not. 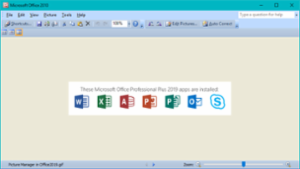 Fortunately, the same zero-cost technique that works to install it with Office 2013 also works with Office 2016/Office 365. Just wanted to thank you for the clear process for installing the Microsoft Office 2010 Microsoft Office Picture Manager. Upgraded from office 2007 to 2016, a couple of days ago, and like many others found the picture manager missing, not so good when you are taking 1000's of pics. This article shows how to convert a multi-page PDF file into multiple image files, with one image file created for each page of the PDF. It does this by utilizing an excellent, free software package called GraphicsMagick. The solution is amazingly simple — a single line of code! A crucial factor for some folks. 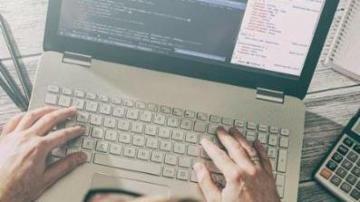 Acrobat is expensive software — not everyone can afford it. You'll notice in the original question here at EE that inspired this article, the asker said, "If anyone has another free option, let me know." Acrobat is also "external" in the sense that it is not part of Windows. For many users, Acrobat is not part of their "original software". > "Export / (choose which type)" or "Save as/Save as type (choose which)"? PaperPort 14.5 Patch 1 update is often not detected or downloaded automatically. 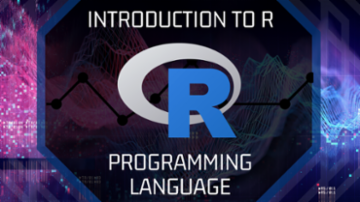 This article provides direct download links to solve the problem for retail (non-bundled) versions of the Standard and Professional editions, as well as the Professional edition in Nuance's own OmniPage Ultimate bundle. Thank you so much. This should be on the Nuance support page just as it is. You are wonderful. In a previous article here at Experts Exchange, I presented a solution to the question of creating a multi-page PDF file containing contact sheets (aka a montage of thumbnails) for all JPG files in a folder. A recent question here at EE asked for a solution, in essence, to the reverse problem, that is, creating a JPG (or PNG) from a multi-page PDF file. In this case, the solution requires all pages of the PDF to be incorporated into a single image. At the question, I posted a relatively brief solution that uses the same GraphicsMagick software and approach as discussed in the article referred to above. Then I decided to write this new article with a more comprehensive explanation of the solution, including some interesting options. PaperPort is among the most important applications that I run on my Windows computers. 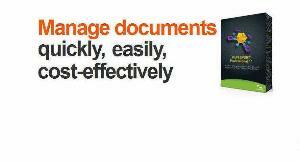 I use it every day, for nearly all of my document and photo scanning, as well as most of my document and photo imaging, including OCR via its built-in OmniPage capabilities. Disclaimer before going further: I have no affiliation with Nuance and no financial interest in it whatsoever. I am simply a happy user/customer. I've been using PaperPort for around 20 years on every version of Windows since Windows 95. With the Windows 10 release date coming up in two days, I thought it would be worthwhile to document my experience with PaperPort on the Windows 10 Technical Preview, including some tips for successful deployment on W10. And as you mentioned the best buy I ever did to manage my PDF files as well. Thanks for joining Experts Exchange today and reading my article — Welcome Aboard! As my PP14.5/Patch1 article shows, your BUILDID of PP-1313-011-15264.1154 means that it is PaperPort 14.5 Standard (retail) with Patch1 installed — good news! > The button "get latest updates" don't work. In a previously published article here at Experts Exchange, I explained how to achieve duplex (double-sided) scanning in Nuance's PaperPort software with a hardware-capable duplex scanner, that is, a scanner which has an Automatic Document Feeder (ADF) capable of scanning both sides of a document. 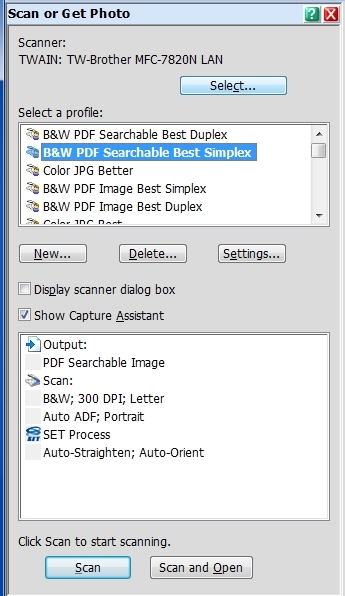 A recent question here at EE prompted me to write this additional article, which explains how to achieve duplex scanning in PaperPort with a simplex scanner, that is, a scanner whose ADF is capable of scanning only the front side of a document. As with the previous article, this one applies to the three most recent versions of PaperPort, i.e., 11, 12, and 14 — yes, Nuance got superstitious and did not release a version 13. Select a Scanner and a Scanning Profile. Tick the Show Capture Assistant box. Place the document in the (simplex) ADF and click the Scan button. Remove the document from the output tray, turn it over so that the last page is on the top, place it in the ADF, and click the Scan Other Side button. 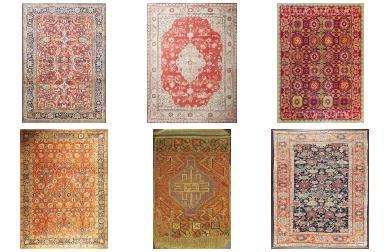 This article provides the solution to a question posed here at Experts Exchange. 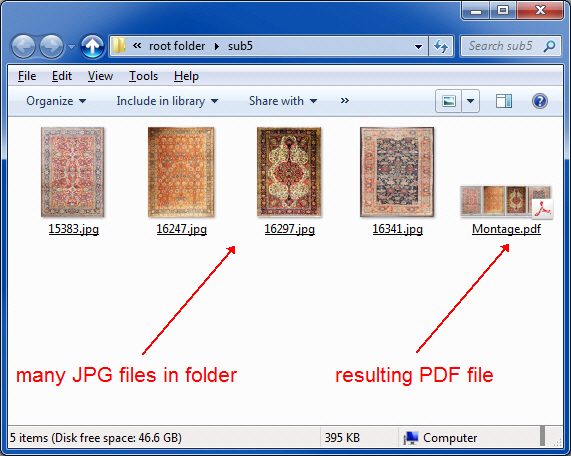 The asker of the question has many JPG images in many folders, and all of the folders are subfolders of one root folder. For each folder, the asker wants to create a PDF file containing thumbnail images (sized to 240 pixels wide) of every JPG in that folder. This is commonly known as a contact sheet or montage. In that test run, all of the JPGs in the folder fit well on a single page in the output PDF file. But if there are too many images to fit on one page, the asker wants the resulting file to be a multi-page PDF. Also, the file name of each JPG should be shown below its thumbnail. All of this needs to be accomplished with a fully automated, unattended method, capable of being run by the Task Scheduler without user intervention. This article was inspired by a question here at Experts Exchange. The requirements stated in that question are (1) reduce the file size of a large number of JPG files in an extremely large number of subfolders; (2) perform that function without user intervention; (3) store the compressed files back into themselves, that is, after compression, each file overwrites itself. The solution presented in this article meets those requirements. It is based on the excellent software package, GraphicsMagick (a fork of ImageMagick). 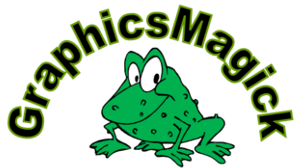 GraphicsMagick is free (in every sense of the word), distributed under the MIT License. Thanks for this article, Joe! I haven't taken a look yet but... Do you know if there is a switch to preserve the file date and time of modified files? I haven't tried this and am curious about it, so if you give it a spin, please post your results. 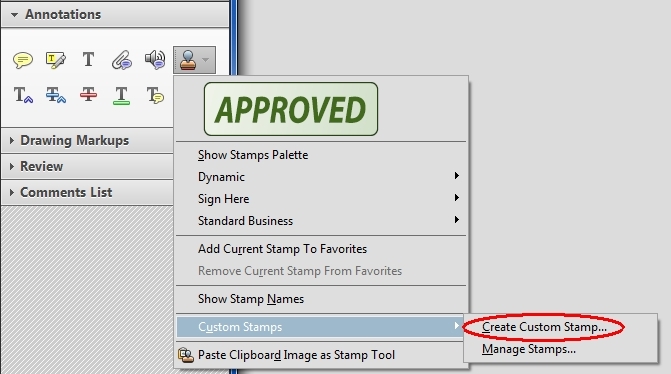 In a previous article published here at Experts Exchange, Signature Image with Transparent Background, I explained how to create a graphic image of your scanned signature with a transparent background. As discussed in that article, having the transparent background is crucial so that the signature may be placed on a document without overlaying the surrounding text. In that article, I mentioned putting the signature on PDF documents via the Stamp feature in Adobe Acrobat. I recently received a message from an EE member who thanked me for that article, but asked me to explain exactly how to create such a Stamp in Acrobat. This article shows how to do it. I don't know how far back the Stamp feature goes in the history of Adobe Acrobat releases, but I do know that it exists in Acrobat X and Acrobat XI, both Standard and Professional. The screenshots in this article are from Acrobat XI Pro on a W7 Pro 64-bit system. In a previous article (now deprecated), I discussed how to upgrade — at no cost for licensed users — Nuance's PaperPort Version 11 (hereafter, PP11) and PaperPort Version 12 (PP12) to the latest "point" releases, namely, 11.2 and 12.1. At the time of that article's publication, PP11 and PP12 were the two latest versions. Now the latest version is PP14 (yes, Nuance was superstitious and skipped 13), and its latest "point" release is 14.5. I decided that adding PP14 to the previous article would result in a long, unwieldy article. In addition, a user of one version is not going to be concerned about the other two versions, so I decided to create three separate articles for PP11, PP12, and PP14 users. This is the PP14 one. 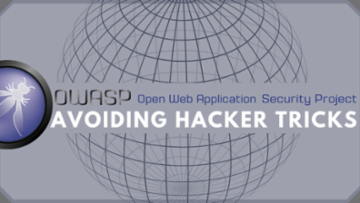 The earlier point releases of PP14 — 14.0, 14.1, 14.2 (there was not a public release for either 14.3 or 14.4) — are known to have bugs that were fixed in 14.5. 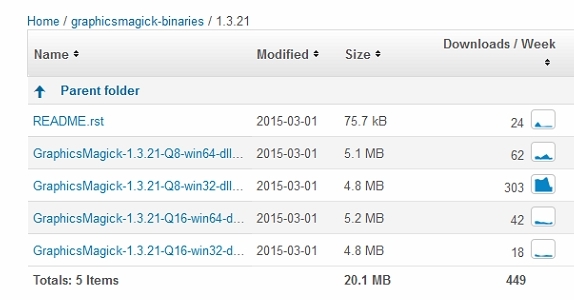 This article provides links to 14.5, as well as other useful information on upgrading. You're right! It's NAPS2. I may try to fix Paperport later, but it's taken me so much time that I need a break from it. The NAPS2 was easy and meant the immediate need that I had in scanning a document. I decided that adding PP14 to the previous article would result in a long, unwieldy article. In addition, a user of one version is not going to be concerned about the other two versions, so I decided to create three separate articles for PP11, PP12, and PP14 users. This is the PP12 one. The earlier point release of PP12 — 12.0 — is known to have bugs that were fixed in 12.1. The links in the previous article for 12.1 no longer work. This new article provides working links for 12.1, as well as other useful information on upgrading. I decided that adding PP14 to the previous article would result in a long, unwieldy article. In addition, a user of one version is not going to be concerned about the other two versions, so I decided to create three separate articles for PP11, PP12, and PP14 users. This is the PP11 one. The earlier point releases of PP11 — 11.0 and 11.1 — are known to have bugs that were fixed in 11.2. Although the links in the previous article for 11.2 still work, Nuance informed me that they may soon stop working. This new article provides working links for 11.2 that Nuance says will continue to work after the other ones have been taken down. This article also provides other useful information on upgrading. The update wants a serial number, which I do not have as I lost my software CD that came with my MFC-7340 Brother printer. Is there a way to install the update without this? Thank you for joining Experts Exchange today and reading my article — welcome aboard! The PaperPort software that comes with Brother MFCs is an "SE" version, which stands for Special Edition. It is a trimmed-down version that Brother OEMs from Nuance for bundling with their devices and it is not considered to be a commercial/retail edition. This means that updates of the software, such as the 11.2 upgrade discussed in this article, will likely not apply to those bundled SE versions. So even if you had the serial number, it is unlikely that the 11.2 upgrade would work on it. As each individual will have his or her personal way of processing a concept and turning it into a reality, this is simply a record of my own system as a designer. It may feel daunting or even overwhelming when developing a new idea for a project or task, but it is beneficial to break it into smaller attainable pieces. Here are four steps that I utilize to evolve my creative process: Keywords, Inspiration Through Research, Sketch/Outline, and Digital. Brainstorming an idea to find important keywords is an exercise that helps target ideas in more detail. First, I choose a word that I identify as a focal point to begin the brainstorming process. Lastly, I filter through all of the words on the word map and circle the top two to five words from the results that will best represent my design. By narrowing my idea into these keywords, I am ready to research typography and imagery that visually convey the message of the design clearly. 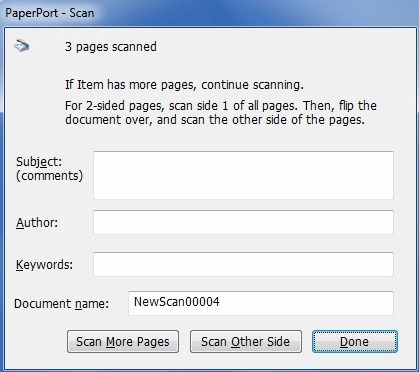 This article discusses the PaperPort 14 Scanner Connection Tool, which Nuance provides at no charge in order to fix scanning problems in Windows 8. Furthermore, users of PaperPort 14 in Windows 7 and Windows 10 have reported that the tool works in those versions of Windows, too. Thanks again for all your help . 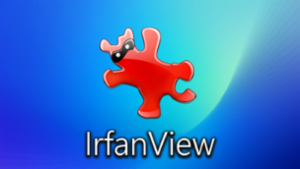 I tried scanning in Irfanview ,which I already use as my default photo viewer. All the scanner dialogues stay on top unlike paperport. I also use use several database programs from Fnprogramvare, Catvids & Catraxx which I frequently scan from and they keep all the scanning windows on top too. So I think it is something in Paperport 14.5 that was changed from Paperport 14 but I am not knowledgeable enough to find it since I know nothing about coding. The support person at Epson told me that there are sometimes settings in programs to keep a program on top (which I knew) but that there was not such a setting in the Epson driver. I cant find one in Paperport if there is one hidden somewhere. He suggested using one of the little programs available that let you select an open window to keep on top. I downloaded Turbotop and it will keep the Scanner dialog on top but doesn't remember that setting so you have reset it every time you run Paperport and the scanner. This all leads me to believe that there is a registry setting somewhere that controls this behavior and maybe some one will find it sometime. Meanwhile I'll just have to reduce the size of my Paperport window and keep it to the right side of my screen so that the scanner dialogue will remain visible on the left. This is one of those long-standing PP issues and I'm wondering if you know of a solution. It doesn't affect me much because I have a separate computer that does scanning with PP14.5. But it drives many users nuts and I'm trying to help one right now. The issue is that when scanning a multi-page document, the PP scanning manager (with both Display scanner dialog box and Show Capture Assistant unchecked) steals focus on every page. It makes it just about impossible to use your computer for any other purpose while PP is scanning a large document. Do you know of a fix or work-around? Nuance has determined this behavior cannot be changed in 14 and will be investigated for inclusion in 15. Done! - I've found some of your other stuff on Paperport v. useful in the past, so kudos to the guru!! 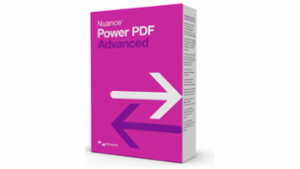 The standard (non-Professional) edition of PaperPort from Nuance Communications (previously known as ScanSoft) is limited to five Scanning Profiles, but in a previous article, I discussed how to overcome this limitation. The technique presented in that article may also be used to address an issue that I've been asked many times by PaperPort users, namely, how to reorder the Scanning Profiles in the Scan or Get Photo pane. For users with many Scanning Profiles, it is desirable to order the list such that the more frequently used ones are at the top. 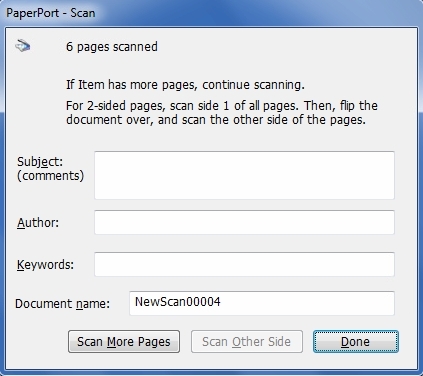 Unfortunately, PaperPort 12, the previous release, offers no ability to rearrange the order of the Scanning Profiles. PaperPort 14, the current release (yes, Nuance got superstitious and skipped 13), added a little-known, undocumented feature that helps: drag-and-drop of the Scanning Profiles. However, it works poorly, in my opinion, as I find it difficult to drop the profile exactly where I want it. Also, in both PP12 and PP14, there is no ability to search for a Scanning Profile, so the user must scroll through the list to find the desired profile. 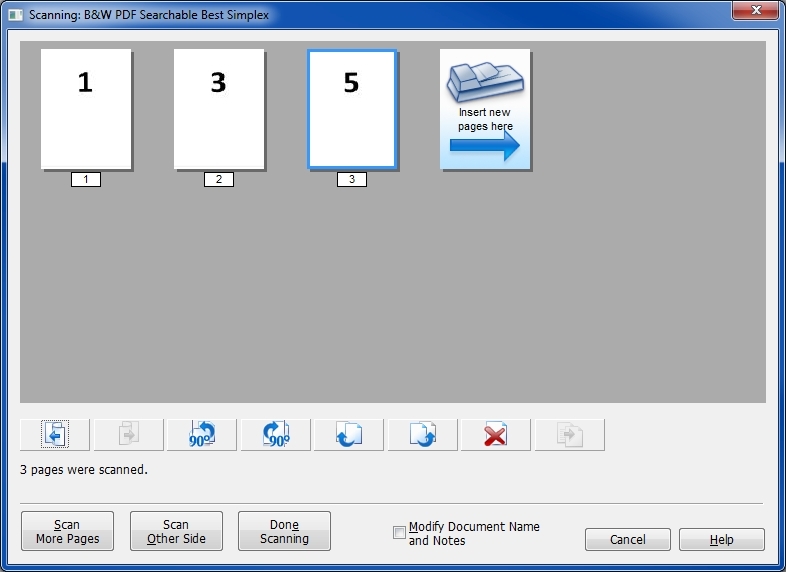 This article presents an approach for reordering the list, using the same method presented in my previous article, PaperPort - How To Achieve More Than Five Scanning Profiles in the Standard Edition. 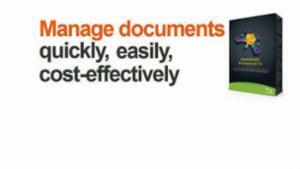 PaperPort is a popular document imaging/management product from Nuance Communications, previously known as ScanSoft. 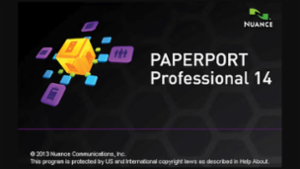 PaperPort is in widespread use by both individuals and businesses. 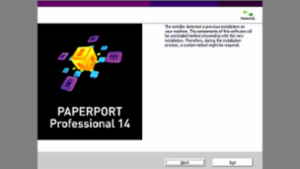 The current version of PaperPort is 14. The previous version was 12. Yes, Nuance got superstitious and skipped 13. Both of these most recent versions come in two editions, Professional and Standard, although the Nuance folks do not call it Standard – they simply leave Professional off the name, i.e., PaperPort 12 and PaperPort Professional 12; PaperPort 14 and PaperPort Professional 14. In this article, I refer to them as PP-Std and PP-Pro, and all such references are valid for versions 12 and 14. As shown in the documents above, one of the differences between PP-Std and PP-Pro is that the former allows only five Scanning Profiles to be created, while the latter allows an unlimited number. However, it turns out that PP-Std will properly handle an unlimited number of Scanning Profiles. The problem is that it won't let you create them. This is easy to overcome by creating the file containing the Scanning Profiles outside of PP-Std. This article describes two ways to do it. 2. Notepad++ great free app for viewin/editing xml files. Sorry I'm just replying to your 25-Mar-2016 comment now. I don't recollect seeing it when it first came in and only just now saw it when I received a notification that you endorsed the article today — btw, thanks for that! You will also find it at C:\Users\All Users\Nuance\PaperPort\14\Profiles.xml in W10. That's because C:\Users\All Users\ points to C:\ProgramData\. In other words, C:\ProgramData\ is the "real" folder and C:\Users\All Users\ is simply a pointer to it — technically known as a junction or symbolic link. So if you look at C:\ProgramData\ and C:\Users\All Users\ in your file manager, they'll show the identical contents, because they are one-and-the-same folder. 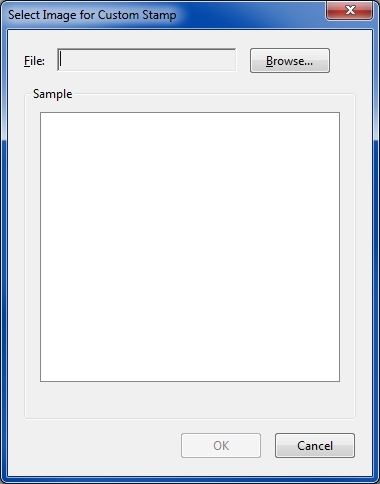 > Notepad++ great free app for viewing/editing xml files.